I woke up at 5:30am today. I didn’t need to but I did. Matt decided to wake up at 5am (those that know him…yes, I was shocked, too. I also repeatedly asked him if he was ok;). When I wake up anytime after 5, I’m up for the day. I was fully expecting Laura to wake up at 6:15ish as she seems to be shifting her sleeping schedule despite my best efforts to maintain a normal wake-up time. But…it’s 7:11am and I’m sitting here in a very quiet, darkened home…and LOVING it! All my life I’ve been borderline perky in the morning to the point of absolute annoyance of others. But it’s because I love love love the quiet peacefulness of the morning time before the sun comes up. A cup of coffee, my warm bed, and occasionally the news…that’s all it takes for me to relax before the day really begins. So here’s a another beautiful day in God’s grace! There is a game that Matt plays with Laura every night that he’s home when she’s going to sleep. She sits on my lap and as he turns to leave her room she calls out, “Daddy!” He will come running back over and give her a kiss and say “Goodnight! Jesus loves you.” They will go back and forth about five times before he finally leaves the room. She just giggles with happiness and love for her daddy. And I’d venture to say that these few moments are some of Matt’s most precious, favorite times. No lie, almost every night I get tears in my eyes as I watch this show of pure love and affection. Laura has this amazing love and trust in her Daddy. Already at just 18 months old, she knows that he is her safe place, her little clown, and her protector. While I hold my breath sometimes at the games he invents with her thinking surely this will end in a broken limb, she trust him completely. Just like I have my little games and secret jokes, Matt and Laura have their own little routines and games. Since we are so blessed to have Matt working from home, Laura gets to see him for brief moments throughout the day. She’s just recently started to go to the bedroom doorknob and try turning it to get to Matt while he works. She goes up to the door and says, “Daddy” whenever she hears any noise coming from the office area. She just adores her time with him. Again, I’m almost 100% positive that Matt loves these times just as much, or maybe even more. In the moments after their little goodnight game I sing to Laura and rock her for a while. I find myself reflecting on how much love Laura has for her Daddy and he for her. Many times my mind wanders and I think about how God, our heavenly Father, must love the times when we remember call to him. Through the work of His Son, Jesus, we are His sons and daughters. We get to call the Almighty Creator our Dad. Galatians 4:4-7 But when the set time had fully come, God sent his Son, born of a woman, born under the law, to redeem those under the law, that we might receive adoption to sonship. Because you are his sons, God sent the Spirit of his Son into our hearts, the Spirit who calls out, “Abba, Father.” So you are no longer a slave, but God’s child; and since you are his child, God has made you also an heir. As a now redeemed child of God I know I can talk to Him whenever I want. I can have time with Him by simply seeking Him. When I am scared, hurt, or in need, I find it easy to call out to my Father in heaven. Prayer flows quickly when I an falling and need help. But when things are well and I don’t have any major hardships to endure, I don’t find myself calling out for my Father all the often. I wish I were more like Laura is with Matt when it comes to craving my heavenly Father’s love, to delight in reading His Word. I want to be filled with pure desire and joy at the thought of hearing God talk to me through His Word. While I count the love between Matt and Laura as one of my biggest blessings, there is nothing on earth that will ever compare to the indescribable grace and overflowing love that God has for us, His children. He is our Daddy that heals all wounds, removes all sin, and greets us with patience and mercy as we seek Him. He has prepared the most amazing place for us in His heavenly home. There is nothing sweeter than the Father’s love for us. Thank you for loving me despite all my shortcomings. Thank you for being the Daddy I can always turn to, the one who never leaves or forsakes. Thank you for the small reflection of Your love for me when I see Matt and Laura together. Help me to remember You when things are good and easy as much as when I call to You in times of need. At breakfast this morning I was sitting next to Laura. She was enjoying her waffles & yogurt, and I my almond-flax cereal. While eating I was reading a news article on my phone. I glanced over at Laura and saw a strange sight. She was completely hunched over her plate, rounded shoulders and all, staring at me. In that moment I realized something…she was mimicking my every move. I was so concerned with reading that I had hunched over within inches of my bowl, completely absorbed in what I was doing. We had a similar moment the other day when after I had put on my make-up for church, Laura took my mirror and pretended to be putting her own make-up on. She’s done this with hand washing, cooking, and countless other things. There’s a huge responsibility that comes with this realization for me. What do I want her to see? What do I want her to mimic? What do I want her point of reference to be? I’ve been working hard on this idea. It’s been swirling around in my mind for months now. What kind of woman am I & what do I want Laura to see are two questions that go hand in hand. Verses 25 & 26 seem to strike me every single time I read this section. “She is clothed with strength and dignity; she can laugh at the days to come. She speaks with wisdom, and faithful instruction is on her tongue.” On my best days, Laura seems some of this. She seems a mother who is gentle, soft-spoken, playful, wise, and faithfully trusting in God’s plan. On my worst days, I shudder to think of what she sees: a mother self-absorbed, angry, short-tempered, demeaning of her husband, loud, cruel, burdened with worry, and foolish. And sadly what do I see in my little mirror, Laura, on those days, the same behaviors–meltdowns, tears, anger, frustrations, fear, and sadness. May God forgive me of those times and wipe them from my daughter’s eyes and mind. I’m thankful that lately, through reading more of God’s Word and lots of prayer, He has helped me to have many more good days that bad. However, Proverbs 31 is still a tall order, overwhelming sometimes. I fall short every day, multiple times a day. If I don’t like how I see my daughter acting, I’d better take a very close look at myself and our environment. I’m hoping that by finally writing these thoughts out I’ll remember to keep in mind that I have a little reflection and shadow following me. 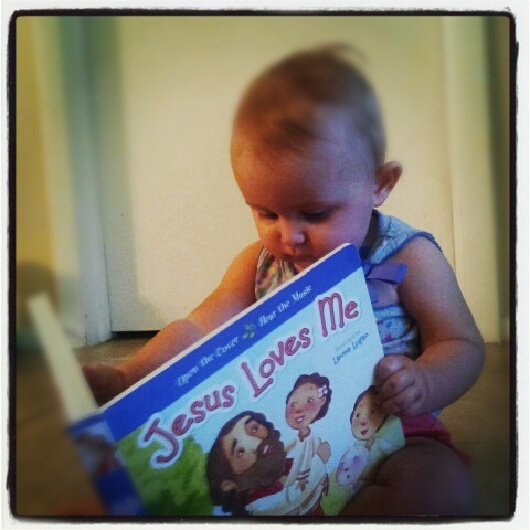 I want her to see Jesus’ love and grace coming from me–unconditional love, patience, and gentleness. Thankfully, I’m not working on this alone. God has placed people in my life who see the tremendous privilege that motherhood is and they strive to act in a manner worthy of being called noble. He’s blessed me with a husband who is forgiving and patient, who points me in the right direction. He has given me His Word to guide me as I make a million choices a day. Most importantly He’s given me forgiveness and grace as the most motivating blessing on earth. Colossians 3:15-17: Let the peace of Christ rule in your hearts, since as members of one body you were called to peace. And be thankful. Let the message of Christ dwell among you richly as you teach and admonish one another with all wisdom through psalms, hymns, and songs from the Spirit, singing to God with gratitude in your hearts. And whatever you do, whether in word or deed, do it all in the name of the Lord Jesus, giving thanks to God the Father through him. You were all I want to be. Your perfection has granted me eternal salvation. Help me to live my life as a reflection of my thankfulness. 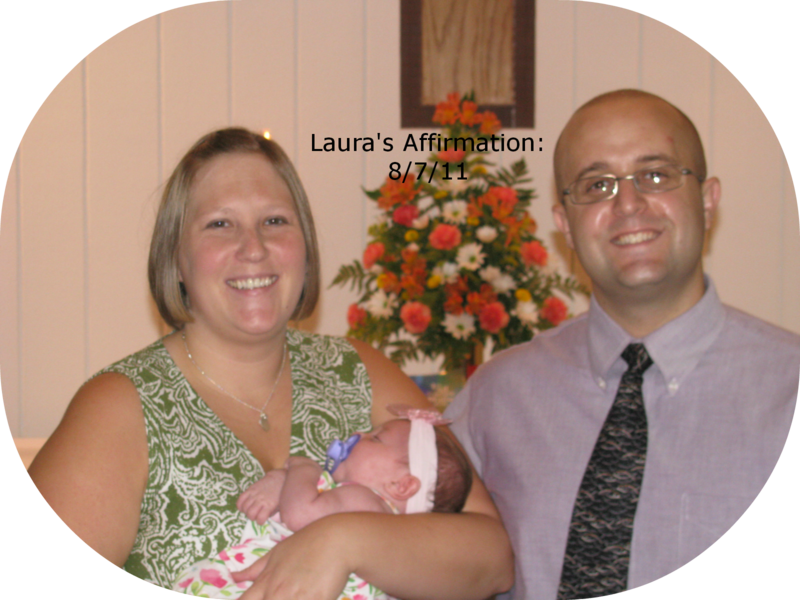 Help me show Laura how to live a godly life in every way. Help me to become a mirror of Your goodness and love so she may show Your grace all the days of her life. Give me strength to admit when I fail and the courage to try again. It’s been a few weeks now since my incredibly brave and strong sister, Mollie, published her blog, Peace in Perseverance. Her story is one of hurt, pain, grief, abuse, strength, perseverance, and most of all, faith. There are not words to describe how far God in His good grace has carried her and continues to do so. I’ve waited a while to write about this because I wasn’t sure it was needed. Well, today it is. I have to let this out…I feel like I failed her. I am her big sister, one who is supposed to guide, guard, and protect her. I spent 30 years of my life being so consumed by myself that I didn’t see the hurting, sweet soul next to me, the one I shared a bedroom with, my best friend. I feel like I failed to save her from a world of mistrust, pain, violation, and overwhelming fear and sadness. I let you down too many times to count, Mollie. I’m so so very sorry. If I could give anything to go back and have a redo, I would without hesitation, in a heartbeat. But I can’t. I wish I could go back now and see the signs of abuse that I’ve learned about. I wish I could go back and look outside of myself and be the opposite of the selfish girl I used to be. I don’t know how I would’ve stopped it but by God, I would try. Even now, today, I feel hopeless to help, unable to take away the lingering fear and pain she goes through on a daily basis. Living in Florida while she’s in Michigan makes this whole mess worse. When she has a bad day, I can’t just hug her. When she needs a pick-me-up, I can’t hand over her little Nuglet to play with. Most often I feel useless and helpless to fix this or make it less painful. Thankfully today, a good friend (thank you, B) reminded me that I need to give it over to God. Leave it in His hands. Be there for Mollie, love her, and most of all pray unceasingly for her. Our gracious Father can pick her up. He can calm her fear. He can lift her up. There are no better hands to hold her tightly and carry her through the rest of her life. There is no better Comforter or Savior than God Himself. What is it that God wants me to do for Mollie? Pray. Pray continually, without ceasing that she can turn to Him and hold fast to Him. Humbly I ask any of you who happen to read this or my sister’s blog to pray for her. Give her strength through your petitions to our good and gracious God. He promises that those who ask, seek, and knock will find Him. Forgive me for not being there for my sister when she was younger. Forgive me for being so self-centered that I couldn’t see her hurting and needing a protector and shield. Give her strength, peace, and faith beyond measure to face her daily demons. Heal her pain. Guide her and keep her close to You knowing that You alone can give her all she needs. Help her to find the life You’ve planned for her, health, happiness, and opportunities to serve You. Help her to know that I always here for her however it is in my power to help and love her. Being a parent is truly a gift of God. He entrusted a beautiful little soul to my care. Every day I breathe a sigh of relief that she’s healthy & growing and say a prayer of thanks. 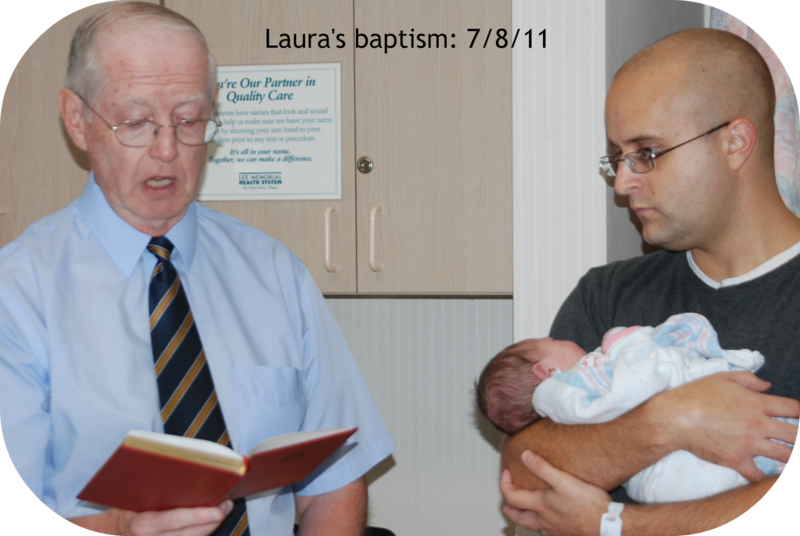 By God’s good grace, Laura is thriving. It’s easy for me in times like these to look inward instead of upward. I focus on how small I am compared to the evils of this world, instead of focusing on how big my God and Savior is. It’s far too easy to become wrapped up in the what ifs and fears and lose complete focus on the One who is in ultimate control. When I start making lists of all the horrible evils that can happen, I stop making lists of the indescribable ways that God takes care of me and my family. If I listen wholeheartedly to the comforters of this world, how can I have any room left for the only One who can give true peace and comfort? My feeble human mind cannot be filled with peace when I’m stuffing it full of worries of this world. That’s where one of my biggest sins lies, turning to the wrong sources of comfort, allowing worldly things to try and give me solace, knowledge, and peace. No, in all these things we are more than conquerors through him who loved us. For I am convinced that neither death nor life, neither angels nor demons, neither the present nor the future, nor any powers, neither height nor depth, nor anything else in all creation, will be able to separate us from the love of God that is in Christ Jesus our Lord.” Romans 8:31-39. He alone will see us through. He alone is our refuge. In these terrible times give me the peace that only You can give. Forgive me for turning into myself instead of looking to You for peace and strength. Calm my fears. Help me to trust your word and promises. Keep us safe in your grace. In Jesus’ name, Amen. Recently someone innocently asked me if I was someone into attachment parenting. Apparently some of my FB posts peaked their curiosity. While I didn’t know I was supposed to pick a side when it comes to parenting, I’d have to say no, I’m not. I think highly of a lot of aspects of attachment parenting but I don’t think it’s the be all, end all when it comes to raising my child. If you were to back me into a corner and force me to brand my parenting style it would be this: I am a Christian parent. Let me explain what that means to me. I have one end goal for Laura’s life and any other future little Visaggio babies that fly from this nest: They have faith that Christ is their Savior and when their earthly times of grace are over, they will be with Him in heaven. John 3:16, “For God so loved the world that he gave his one and only Son, that whoever believes in him shall not perish but have eternal life. For God did not send his Son into the world to condemn the world, but to save the world through him.” The most important absolute truth that I’ve made my life’s mission to teach my children is right there in a nutshell. So, yes, there is a guide that I strive to follow when it comes to parenting. It doesn’t so much depend on recent research, studies, and philosophies, but rather on the ever-lasting, unchanging truth of God’s word. I don’t sweat the small choices and battles anymore because I have an eternal end goal as my focus. Singing and rocking Laura to sleep is without a doubt one of my absolute favorite jobs each day. I always sing Jesus songs or hymns to her every night. Tonight as I was rocking, singing, and thinking about our long day, I started wondering about the angels that visited the shepherds the night Jesus was born. 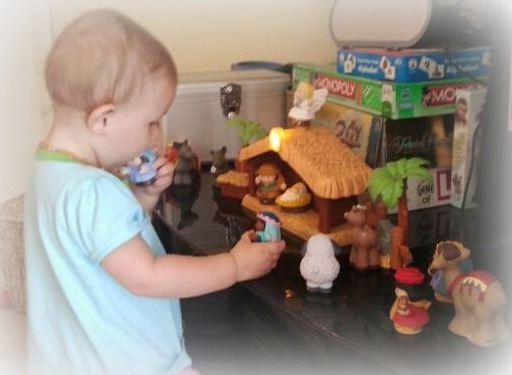 They probably popped into my head because Laura got her Little Peoples’ Nativity set from her Aunt Mollie today and she was infatuated with pressing the angel on top so “Away in a Manger” would play. I’ve got the angels’ visit on my mind! I can somewhat imagine how peaceful and still it was outside of Bethlehem while the shepherds were doing their every day tasks. I grew up in Michigan and went to college in rural Minnesota; I’ve seen my fair share of still, star-filled skies! But then a single angel came to them, an actual angel, sent by God. I can’t even imagine what the shepherds were thinking. I would have been terrified most likely. I’m a reason-it-out kind of girl and this would have been way too much for me to take in. Overwhelmed doesn’t cover it. But the angel comforted them saying, “Do not be afraid.” Amazing that God even accounted for their fear when He sent his messengers. Then as if one angel wasn’t amazing enough, a whole company of angels appeared. Incredible. I wonder what they looked like. I wonder what they sounded like. Many writers and artists have their interpretations. And I can’t help but think about how far beyond their descriptions the sight and sounds of that night were. I wish I would’ve been there. That’s what I can’t stop thinking when I sing these hymns or read books like that one. What an awe-inspiring, life-changing experience with which God blessed those meek shepherds. But then again, He does the same for us. 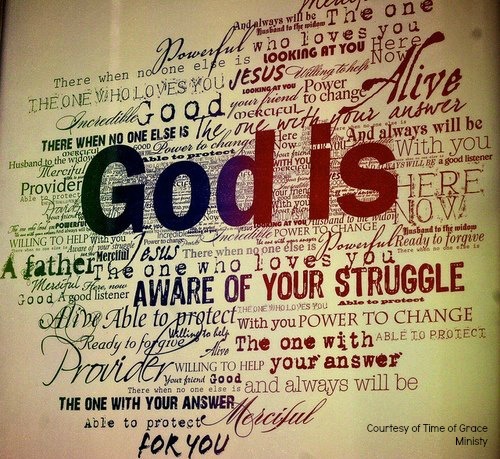 The words of the Bible, the description God gives, is incredible. Just finding myself in a quiet moment really, truly for the first time thinking about this part of Jesus’ birth and I am in awe, filled with wonder, joy, and absolute peace. It makes me want to run and tell everyone just like the shepherds did. Maybe that’s why I wanted to write this out…to get someone else pondering the glory surrounding the birth of our Savior. Thank you for quiet moments. Thank you for the gift of Your word. Forgive me for not stopping and pondering Jesus’ birth more often. Give me more still moments where I can be in awe of Your glory. Keeping preparing my heart for Christmas through hearing and reading Your word. Every year when I was teaching I would inevitably get sick or lose my voice in December. Like clockwork, my life would become filled to the max with lists upon lists of things I HAD to accomplish. I would become so busy that I’d forget to eat well, sleep well, and take care of myself resulting in being worn down, sick, and tired. This year, even though I work at home with just one little to watch over, I find myself starting to mentally make those lists and find my patience wearing thinner and thinner. 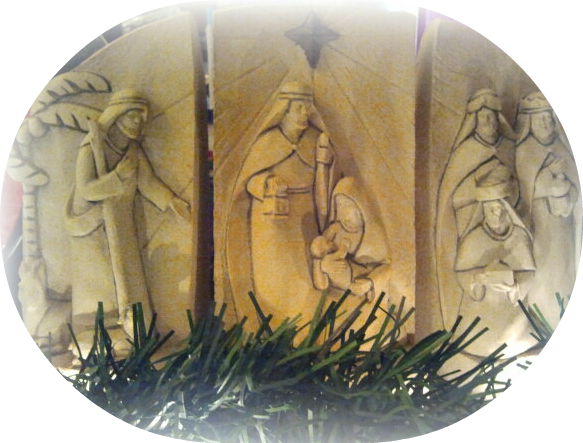 This time, thanks to my friend, Dana, and her advent blog, I have caught myself just in time. It’s become far too easy for me lately to neglect my daily time in God’s Word. The opposite was one of the biggest blessings about teaching in a Christian school especially at Christmas time. 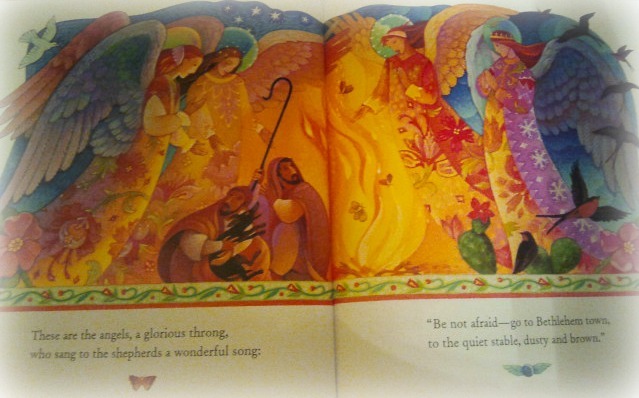 I would get to practice the children’s Christmas service songs & Bible readings every day with my students. Now I’m left a little lonely in that department. I’m really feeling the need to find a way to make that a part of my daily routine again, be it with Christmas music playing throughout the day or scouring the Interwebs for solid Advent devotions and meditations. While I absolutely love my Christmas traditions from when I was little, there’s something more important that I need to be focused on…preparing my heart for Jesus. Instead of worrying about cookies, I need to think about my sins. Instead of worrying about Christmas pictures, I need to think about my deep need for a Savior. Instead of worrying about creating every possible tradition for my little family, I need to ponder the grace & forgiveness that is mine through the birth of the baby in Bethlehem. Like Mary, I need to treasure the story of Jesus’ birth and ponder God’s amazing grace. That is real Christmas preparation. So I’m checking out of the hustle and bustle of the Christmas prep, realizing that even if I don’t bake a gazillion diary-free, gluten-free Christmas cookies, write & mail my first ever Christmas letter, or even get family pictures squeezed in…CHRISTmas will still come on December 25th with all its joy and true peace. I’m letting go of the idea that Christmas will be less special for my family if I don’t get XYZ finished. The things I do happen to finish without losing focus will be in an effort to keep Christ at the center of my preparation & celebration. Because in the end, Jesus was still born; Jesus still lives; Jesus will still come again. Bread for Beggars:The mission and purpose of the Bread for Beggars blog is to share Christ centered devotional media with God’s people who desire to be fed and nourished by him on a daily basis.Bread for Beggars is a blog of hungry beggars who have bread and wishes to share.The contents of the posts will vary. Some will be devotions written by the bloggers, but most will be devotions, sermons, music, reviews, and visual arts that have been produced by other Christians. A Different December: This blog is written by a friend of mine. 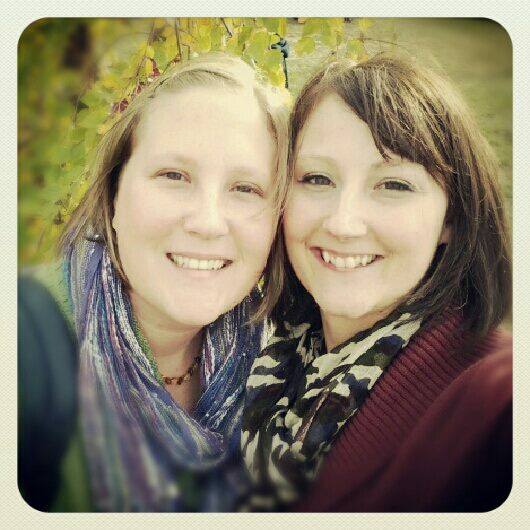 Her goal is to write 25 posts leading up to & preparing for Christmas by focusing on the true gift of Christmas, Jesus. Truth in the Tinsel: Truth in the Tinsel is a hands-on Advent activity ebook for littles to use their creativity to prep for Christmas. Saving this for one more year when Laura will be good and ready to craft away. I love Christmas. I love getting ready for Christmas–decorating, singing Christmas hymns, going to Advent church services. There’s one Christmas tradition from when I was little that I was determined to recreate for my own little family…an Advent Calendar. When I was little my sister and I would race down the stairs every day starting with December 1st. We would literally run through the house to make it to our family’s advent calendar first. It was nothing amazingly huge, glittery, or even chocolate-filled. Nope, it was a simple felt & fabric calendar that had a Christmas tree on it with 25 red felt ornaments, one for each day of Advent leading to Christmas Day. We would actually argue over who got to flip over the ornament each day. On the underside of each was an old-timey Christmas picture relating to the story of Jesus’ birth. Then tucked in a tiny pocket underneath the ornament was a Bible passage that led up to Jesus’ birth. It is one of my absolute favorite things from my childhood. I set out searching for something like this back when I was preggers with Laura. To my dismay, a quality, Bible-focused Advent calendar was pretty pricey…and, well, I’m cheap. 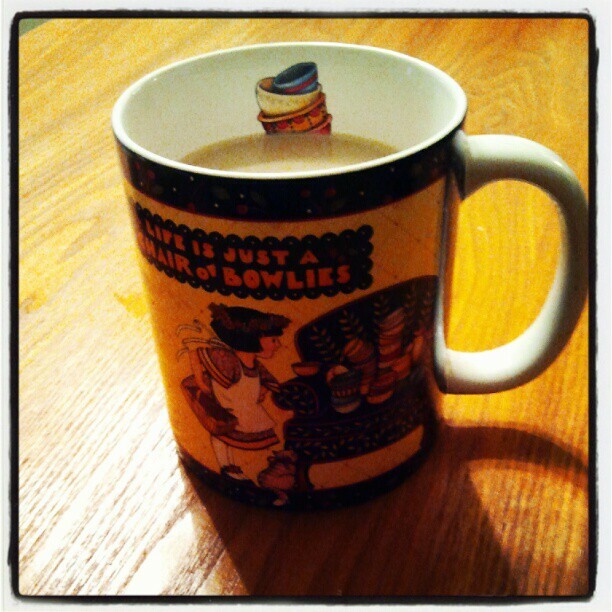 So I decided to put my craftiness to the test and make my own. I started by buying two ginormous pieces of felt, red and green, as well as a multi-colored pack of Christmas-themed smaller felt pieces. 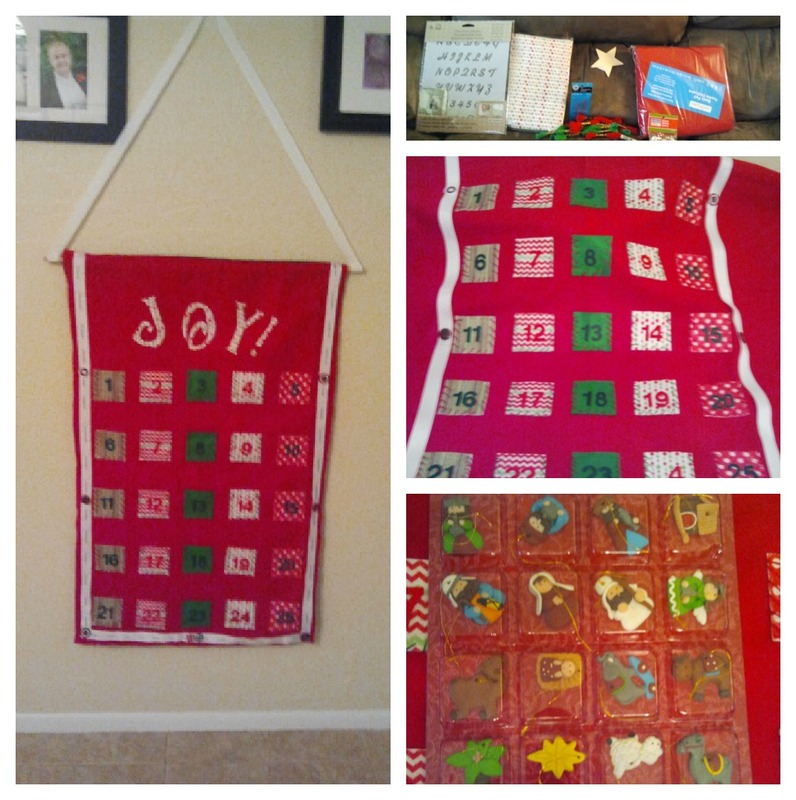 I traced and cut out 25 squares to make pockets for ornaments & Bible passages. I hand-stitched the pockets onto the bigger felt piece. (I also used hot glue because I am sure they’d fall apart otherwise!) Next was my favorite part…picking out all the right Bible passages (see my list below). 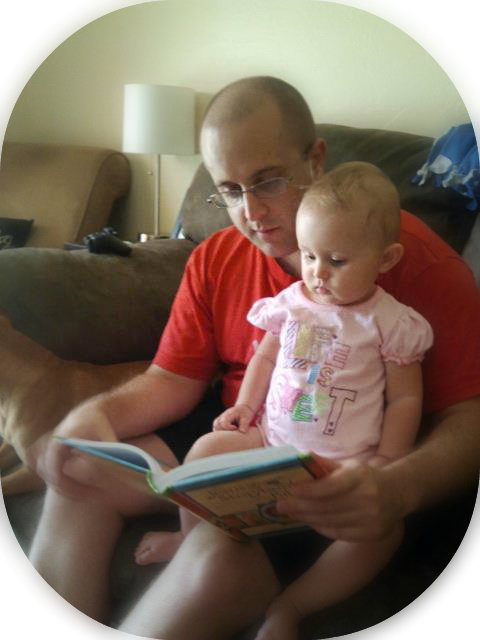 I can’t wait until Laura is older and can read them herself! 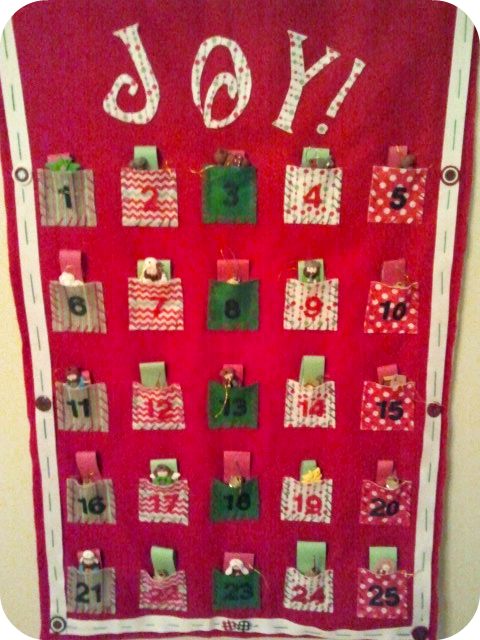 I added Christmas buttons, ribbon, and the title “Joy” to the top. My mother-in-law added batting and sewed the back piece on to the whole creation. Now I get to fill the pockets with Bible passages & the awesome ornaments (all nativity pieces) that I found at JoAnn’s on clearance. Laura’s grammy also gave us a little, tiny tree on which to hang the little, tiny ornaments on each day. This project may seem like a lot of unnecessary work but to me it’s priceless. I cannot wait for Laura to grow up hearing the story of Jesus’ birth one day at a time in preparation for Christmas Day each year. I hope she loves it as much as we loved ours as kiddos! 3. Isaiah 9:6 For to us a child is born, to us a son is given, and the government will be on his shoulders. And he will be called Wonderful Counselor, Mighty God, Everlasting Father, Prince of Peace. yet we considered him stricken by God, smitten by him, and afflicted. But he was pierced for our transgressions, he was crushed for our iniquities; the punishment that brought us peace was upon him, and by his wounds we are healed. 5. Isaiah 7:14 Therefore the Lord himself will give you a sign: The virgin will be with child and will give birth to a son, and will call him Immanuel. 6. Isaiah 11:1 A shoot will come up from the stump of Jesse; from his roots a Branch will bear fruit. 9. Luke 1:46-49 And Mary said: “My soul glorifies the Lord and my spirit rejoices in God my Savior, for he has been mindful of the humble state of his servant. From now on all generations will call me blessed, for the Mighty One has done great things for me—holy is his name. 10. Luke 2:1-3 In those days Caesar Augustus issued a decree that a census should be taken of the entire Roman world. (This was the first census that took place while Quirinius was governor of Syria.) And everyone went to his own town to register. 11. Luke 2: 4-5 So Joseph also went up from the town of Nazareth in Galilee to Judea, to Bethlehem the town of David, because he belonged to the house and line of David. He went there to register with Mary, who was pledged to be married to him and was expecting a child. 12. Luke 2: 6-7 While they were there, the time came for the baby to be born, and she gave birth to her firstborn, a son. She wrapped him in cloths and placed him in a manger, because there was no room for them in the inn. 13. Luke 2: 8-9 And there were shepherds living out in the fields nearby, keeping watch over their flocks at night. An angel of the Lord appeared to them, and the glory of the Lord shone around them, and they were terrified. 14. Luke 2: 10 But the angel said to them, “Do not be afraid. I bring you good news of great joy that will be for all the people. 17. Luke 2:15-16 When the angels had left them and gone into heaven, the shepherds said to one another, “Let’s go to Bethlehem and see this thing that has happened, which the Lord has told us about.” So they hurried off and found Mary and Joseph, and the baby, who was lying in the manger. 18. Luke 2:17-18 When they had seen him, they spread the word concerning what had been told them about this child, and all who heard it were amazed at what the shepherds said to them. 19. Luke 2:19 But Mary treasured up all these things and pondered them in her heart. 20. Luke 2:20 The shepherds returned, glorifying and praising God for all the things they had heard and seen, which were just as they had been told. 22. Matthew 2:9-10 After they had heard the king, they went on their way, and the star they had seen in the east went ahead of them until it stopped over the place where the child was. When they saw the star, they were overjoyed. 23. Matthew 2: 11-12 On coming to the house, they saw the child with his mother Mary, and they bowed down and worshiped him. Then they opened their treasures and presented him with gifts of gold and of incense and of myrrh. And having been warned in a dream not to go back to Herod, they returned to their country by another route. 24. 2 Corinthians 9:15 Thanks be to God for his indescribable gift! 25. John 3:16 For God so loved the world that he gave his one and only Son, that whoever believes in him shall not perish but have eternal life. For about four solid months, since Laura was 12-13 months old, we’ve seen her strong will come out in unsurprisingly large doses. From the moment I met this little girly, I knew two things: she is smart…and she is determined (I won’t say stubborn because I think that can have a misleading connotation.) Laura has always been observant and quick to learn something just by seeing it once or twice. When she sees something she wants to do or have, she is hard to steer in another direction. For a few weeks in the summer I was losing my cool on my toddler. I would need to step away for a moment to gather my thoughts so I could figure out how to get Miss Independent to go in the direction I needed instead of the one she so adamantly wanted. I used to refer to Laura, semi-jokingly, as a Stewie Griffin wanna-be. I truly thought once or twice that she meant to inflict some sort of pain or angst on me. Then I had an “AHA moment” when someone in Target saw one of Laura’s few public outbursts. This cashier said to me, “Oh Mommy, she’s not doing this to torture you.” Had this random stranger read my mind? Was it obvious that I was thinking my child had it out for me? Then I thought about the woman’s statement when I got home some more. Was it even possible for a little toddler to plot evil?? I believe the answer is no. (Note: that is not saying children are not sinful. They are. They will make mistakes. They will sin. They will do the opposite of what God wants.) Laura has little to no impulse control. Granted she’s come a long way in the “No touch” department but she still needs to be taught. Laura cannot possibly have enough higher order thinking to twiddle her tiny little thumbs whilst plotting ways to make me fume. It’s just not possible. Can she know that I don’t want her to touch the Christmas tree and choose to do in anyway? Yup, definitely. But the problem lies with believing her motivation is to make me angry or sass me. (Note: yes, she’s sassy. When I say sassy, I mean spunky, silly, pushing of boundaries sometimes.) Her underlying intention is not to get under my skin or deliberately go against what I ask of her. No, she simply sees something shiny and pretty (Hence her constant, “Wow!” when she sees the tree!). She hasn’t learned that instant gratification is not going to be the way she rolls for the rest of her life. No toddler at the wee age of 12 to 20+ months can think on the higher level in order to say to himself or herself, “Wow, if I touch this tree, it will make mommy really, really mad and I want to get back at her.” It’s absolutely absurd that in my transition to Stay-at-Home Mommyhood that this thought even entered my mind. I know child development better than that. Making this realization has changed my daily relationship with my daughter. I no longer view her as a tiny human who’s out to get me (Bwahaha, that makes me laugh to even think that I used to believe that…). Rather she is a tiny human who needs to be taught impulse control through redirection, modeling, and most of all grace & love. When Laura grabs Pepper’s tail and pulls I say, “No pulling, be gentle.” I take her hand and physically show her what gentle means. She’s grasped it totally. When I am on my game enough to remind her before she gets to Pepper to be gentle, she’s golden. When Laura does pinch or pull, she needs grace. I don’t hold it against her. She’s still learning to stop that part of baby brain that is saying, “Grab! Grab! Grab!” When she goes up to Pepper and uses gentle hands with, or even better, without a reminder she gets props from me! A teacher who evaluated me once told me to keep an index card with me through one day. I was to mark a “-” sign every time I was getting after a student. I was to make a “+” sign every time I gave legitimate praise, props, kudos for students making good choices. I was shocked to see how overall negative I was in my classroom. The same applies in my home. If I am just constantly negative and on my child’s case for every mistake she makes, we are absolutely miserable. It’s like Laura can do no right. What kind of grace-filled parenting is that? It doesn’t work well in our home. Laura thrives on being told she did a good job. Note: I am not throwing a party or planning a parade for every good choice my daughter makes. No it’s simply, a “Thank you!” or “Good job putting away your toys!” It is amazing how much she smiles and has a better attitude when I am more positive and remember to say thank you. A lot of how Laura’s day goes depends on my attitude, not the other way around. If I’m uber crabby, she will definitely push the boundaries more. Kids can be affected by negativity around them faster than you can blink. When Laura’s having a rough day, most likely I’m the one who needs an attitude adjustment. I need to remember she’s a small toddler, a young little child, who needs things put simply, in few words, and more positive talk than pointing out every nit-picking little mistake she makes. Remembering these ideas from my teaching days has made my parenting so much less of a struggle. My “classroom” on most days is a happy learning environment now. I enjoy the opportunities to help Laura learn impulse control and patience. Yes, there are times where I struggle to remember the paragraph above, but overall life is much easier for both of us when I do. When I view Laura’s personality as determined instead of sassy, I have much more positive interactions with her. When I strive to show love and grace over a stern hand and loud voice, Laura thrives. Help me to every day, throughout the day, show unconditional love and grace toward Laura. Forgive me for the times when I think the blessing You’ve given me is “out to get me.” Redirect me back towards positive, grace-filled parenting when I stumble. Give me patience to repeatedly show & model patience to Laura. Thank you for the woman in Target who stopped me from going down a bad parenting path. You always know what I need.